As a musician, I know about how important rhythm and sound are to music. I also know how important silence is. 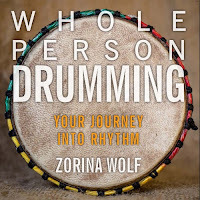 I recently got to review Whole Person Drumming, which talks about not just the sounds, but also the silence. 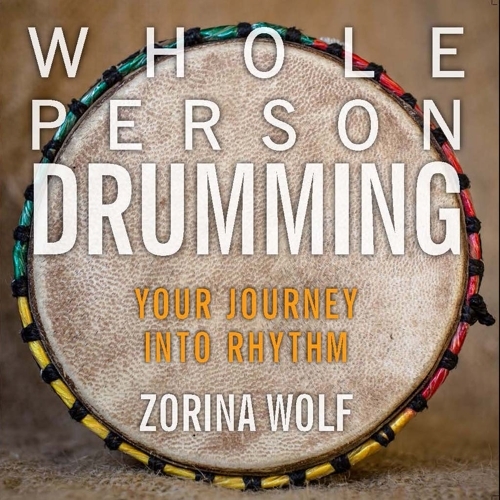 Zorina Wolf has a passion for drumming and community, a passion that is evident in the book and videos she creates, appropriate for people of all music backgrounds. She has a great deal of experience, with fourteen years of study under one of the great Nigerian drummers Babatunde Olatunji, and has also taught drumming for over two decades. The book clearly explains the three traditional sounds (bass, tone, and slap), how to build stamina to handle longer drumming sessions, and how to use your body to move or speak the syllables to learn rhythms. Not only does she explain the fundamentals of drum playing, but she also works it into meditation, using drumming as a way to relax and get your whole body in tune with itself.